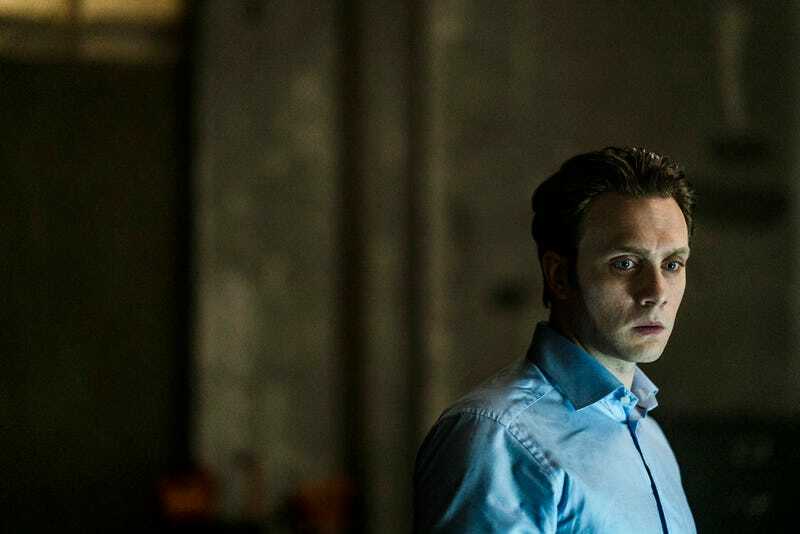 Tyrell Wellick barely knows anything more than Elliot. That’s the most surprising reveal in “legacy.so,” an episode that pulls back the curtain on what the most wanted man in the world has been up to since the night of the 5/9 hack. All this time, we thought Wellick had some secret knowledge—that chuckle and “Bonsoir, Elliot” we first heard back in the season-two premiere sounded for all the world like a man who knew something to which the rest of us weren’t privy. But no, it was just the sound of loyalty—someone finally reconnecting with the one person to whom they’ve pledged their undying loyalty. But does that loyalty extend to Mr. Robot, or Elliot? Angela is living proof that both might not be possible. Interestingly, this is one of the only episodes in Mr. 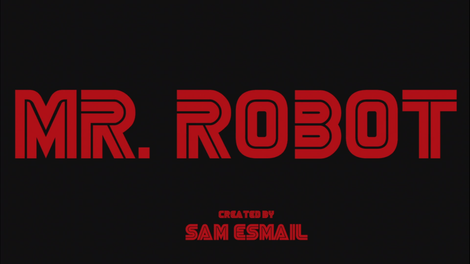 Robot history that sets aside the mind games and just tells a relatively straightforward narrative, recounting the events from when Elliot and Tyrell entered the arcade (only to have the Dark Army kidnap the ex-Evil Corp executive), right up to the moment Elliot, as Robot, wakes up from his surgery, and plots with Angela. It’s the history of Tyrell’s journey, filling in the gaps of our central narrative while also providing more information on Irving. It sacrifices the complex psychological mind games in the interest of showing one man’s journey from disgraced and desperate businessman to eager Fsociety acolyte. It’s the Ballad Of Tyrell Wellick—an hourlong story of his integration into the Dark Army’s collaboration with Elliot. Sure, there are hints of the nuance waiting to return after this backstory is filled in (“Are you afraid of becoming your father?” Mr. Williams asks Tyrell during the interrogation, suggesting an even deeper link between Elliot and his former nemesis), but this is Mr. Robot coloring inside the lines. Wellick is a man beaten down by the feeling that he has failed his wife and child. His sense of self was founded upon a desire to rise above—he slept with anyone, man or woman, that fit into the couple’s warped worldview of control and desire, but by letting himself be cast out, he feels the sting of failure. He can’t be there for them, and it’s eating away at him. When he quotes Deuteronomy to Irving, it’s about how being emasculated will prevent one from entering the kingdom of Heaven. When he impulsively strikes out on his own, only to wind up in the back of a police car, willing to break his own thumb to escape his cuffs, it’s in large part because Wellick can’t abide feeling like he’s been shunted aside, by his wife or his business partners. His repeated demands to be reunited with Elliot have less to do with how much smoother stage two will go if they’re together than with the psychological balm of being in the room with the man who matters. To reference a season-one episode about weakness, Tyrell’s exploit is his insecurity, not his pride. The brief diversions from Wellick’s story are also illuminating, though in ways more tragic than intriguing. Whiterose orchestrated the nature of Elliot’s prison stay as much as anyone could, having Leon stay by his side and arranging the early release. But more importantly, he’s in direct contact with Cody, the TV host who apparently spouts only the Dark Army company lines. What makes that a key piece of information is what it says about Elliot’s current activities. Back when Elliot became an avowed counterrevolutionary in the season opener, his mental monologue started to blur and overlap with that of Cody, both of them ranting against the predations of modern society, in a dark display of the ways the language of radicalism can be applied across the political spectrum, for all manner of purposes. Elliot thinks he’s fighting against Whiterose’s plans, but he’s spouting the same words as Cody, the Dark Army pawn. Maybe his struggle against stage 2 isn’t wholly unanticipated—or maybe someone else has gotten inside his head. We also learn that Darlene was never in danger of being killed in the hit at the diner. “She’s protected; you’re not,” Irving tells Cisco, in a sad reminder that Darlene’s boyfriend was in over his head in more ways than one. It’s irony laid on with a trowel: Cisco just wanted to get away from it all, to go be normal boyfriend and girlfriend with Darlene, maybe take a trip to Budapest. He was supposed to be using her like any other job (“Stop caring about her,” Irving admonishes), but he genuinely wanted to be with Darlene. That’s not what got him killed, but it’s more evidence that he was in a bad place long before that fateful meal. Historically, the show has suffered whenever it strays from its protagonist for too long, but for being almost an entirely Elliot-free episode, “legacy.so” manages to stay engaging. Some of this is due to the new layers we pull back: Dom’s boss is working with the Dark Army, and was none too happy about having to kill a cop. Angela has presumably spilled the beans to Tyrell about Elliot’s unique condition. Irving loves making jokes about Swedish Fish to Wellick. But some of it was the series trying out a set of muscles it doesn’t often use, by playing it relatively straightforward, even pulling back on the severe framing choices that define the aesthetics of the show. It’s getting Wellick back in action, and getting us ready for a new chapter. It’s making the sale. After all he’s done to return, I wouldn’t want to be there when Tyrell finds out Joanna Wellick is dead. Irving’s a Gore Vidal fan. Who knew. Leon’s take on murder: It’s bad, but if you have to do it, do it to some neo-Nazis. I have a very hard time believing Whiterose would want Donald Trump to be President. Unless they reveal that she’s got the piss tape, there’s just no way someone that smart would want someone that unhinged and unpredictable in the White House, no matter what strings you pull to make the puppet dance. Such a narcissistic nincompoop feels beneath Whiterose, so this came across like an unnecessary attempt to make a real-world connection—although I much prefer the notion someone like Whiterose is controlling that guy.